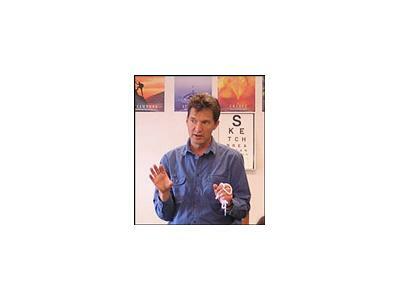 Greg Marsh is the creator of several home study programs for Natural Vision Improvement. Thousands worldwide have had success with them. Greg’s unique mix of training helps him get across essential points to a wide audience. He has a degree in chemical engineering, studied and taught martial arts and mediation for 25 years, and has a wide background in alternative health approaches. He combines the Bates Method of visual relaxation with other tools he has found helpful to reawaken one’s vision. Imagine going through your day seeing clearly without glasses or surgery. Many thousands of people have reduced their prescription or stopped wearing glasses altogether using natural methods. Nearsightness, farsightness, astigmatism and many other conditions can be helped. Aldous Huxley, author of Brave New World, was going blind and reading Braille when he met a “Bates Method” natural vision teacher. Eye doctors had given up on him. Huxley regained his sight and wrote The Art of Seeing to explain how our stressful culture breeds poor eyesight. He said “dynamic relaxation” is required to see clearly and to think clearly.